Aflac Incorporated (AFL), through its subsidiary, American Family Life Assurance Company of Columbus (Aflac), provides supplemental health and life insurance. The company offers cancer plans, general medical indemnity plans, medical/sickness riders, care plans, living benefit life plans, ordinary life insurance plans, and annuities in Japan. This dividend aristocrat has raised dividends for 46 years in a row. The company most recently announced a 9.70% dividend increase to 34 cents/share. Over the past decade, this dividend stock has delivered an annual total return of 8.10%. At the same time the company has managed to increase earnings per share by 10.90% per year. 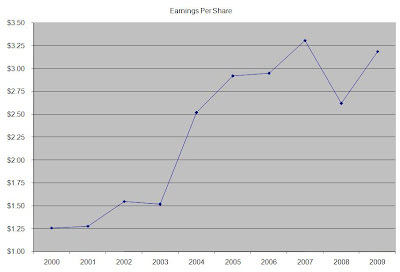 In 2009, earnings per share increased by 21.70% to $3.19. 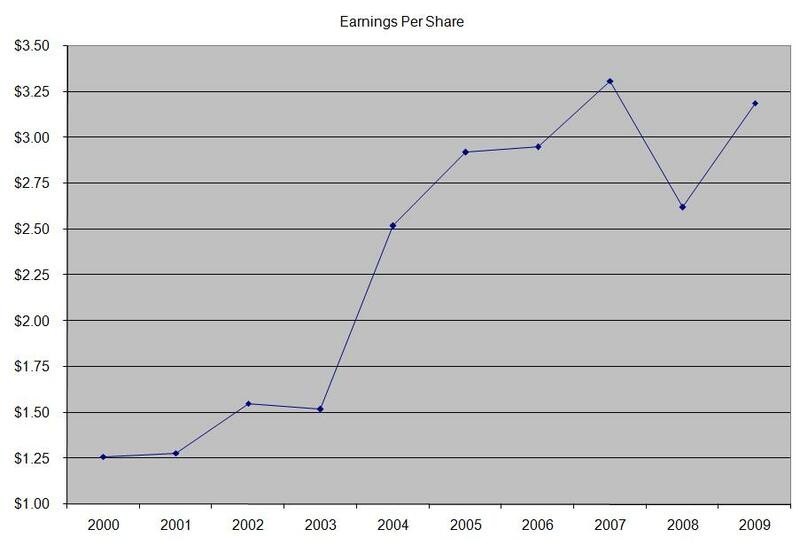 Analysts are estimating FY 2010 and FY 2011 EPS to increase to $5.46 and $5.99 respectively. 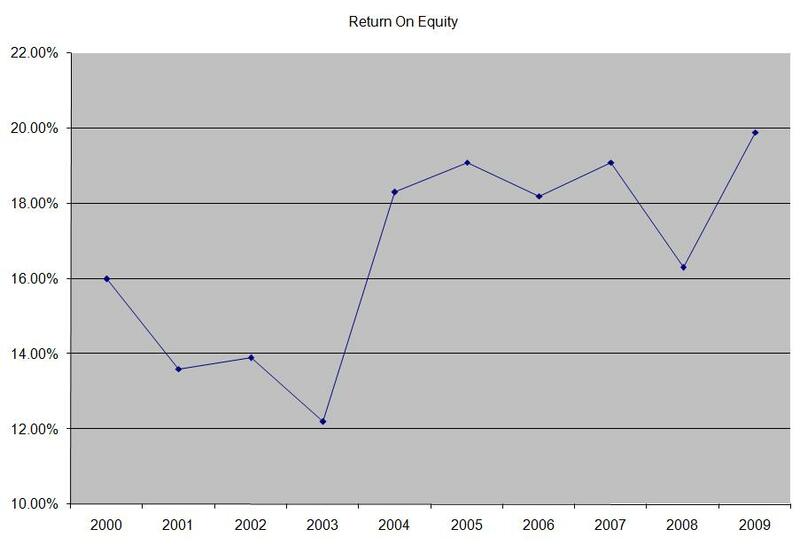 Return on Equity has increased from 16% in 2000 to 20% in 2009. In addition to that this indicator has remained between 16 and 20 since 2004. 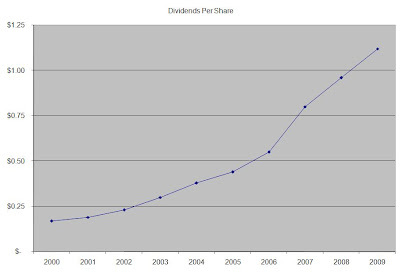 The annual dividend per share has increased by 23.30% annually over the past decade. 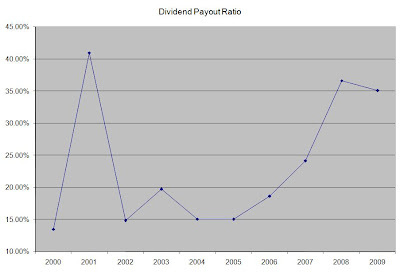 A 23% increase in dividends translates into the dividend payment doubling every 3 years on average. 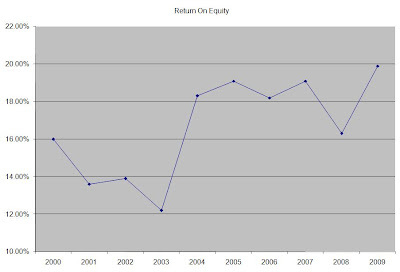 Sicne 1984 the company has managed to double dividends every four years on average. 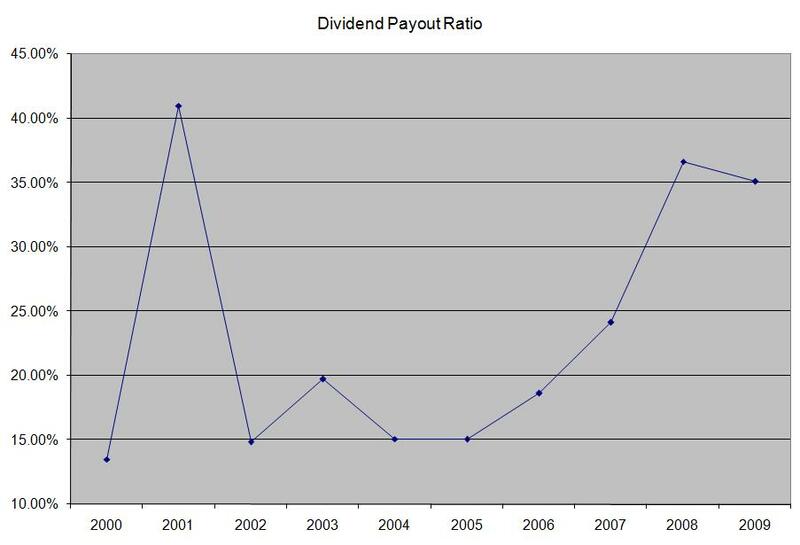 The dividend payout ratio has almost tripled over the past decade, from 13.50% in 2000 to 35% in 2009. 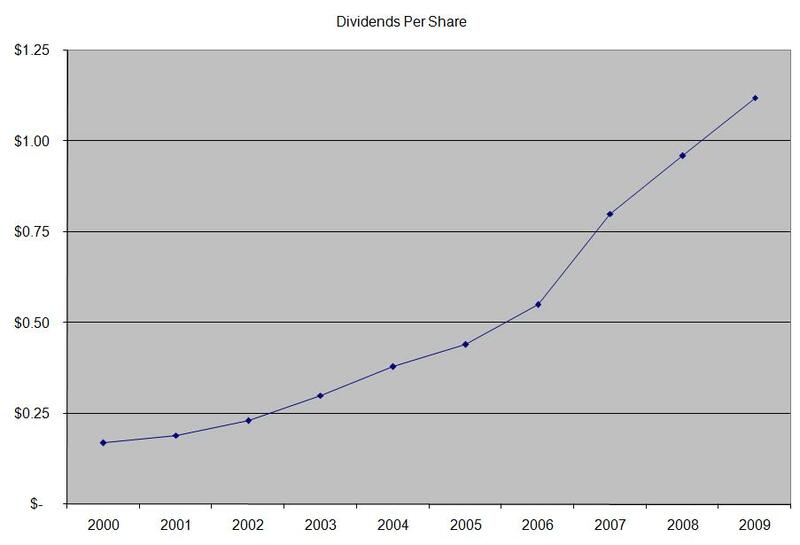 This is a direct result of the fact that dividends have been increasing much faster than earnings over the past decade. Currently Aflac trades at a P/E of 12.60, yields 2.40% and has an adequately covered dividend payment. I would be adding to my position on dips below $48.